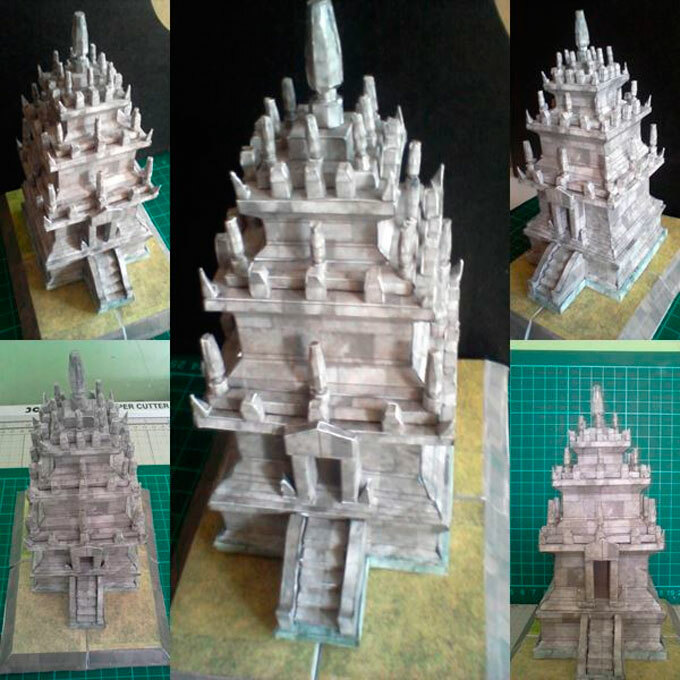 This Cangkuang Temple paper model is in 1:600 scale, this template was created by Dani Hamdani. 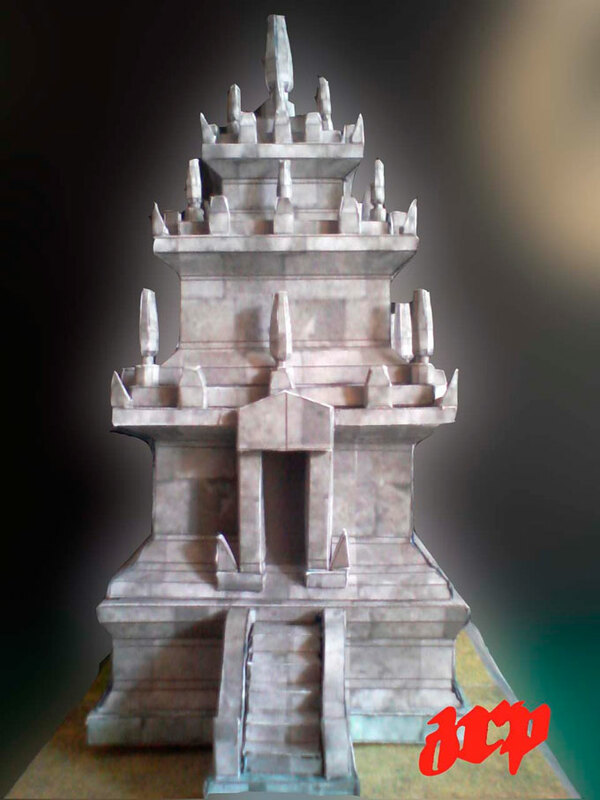 Cangkuang Temple is an ancient Hindu temple located in Garut, West Java. The name given to it does not have any relationship with the temple itself. Cangkuang is the name of the village nearby, where the area of this sacred place was found, and it's a name of a plant. This temple was confirmed as a Hindu temple because there is a statue of Siva, although it is already heavily damaged, it still can be recognized as a Siva figure. The Dutch explorer found this temple ruin around 1890s and recorded in Vorderman report in 1893. Using this report the ruins was re founded in 1966 and fully reconstructed in 1978. The reconstructed facade was not the real shape of the actual building because when it founded, the temple only has 35% of building ruins. The actual shape of the temple is still unknown.